SIA is ramping up its services for corporate, business travelers coming in and out of the country, and connecting them further to more destinations. GOLDEN ANNIVERSARY. Singapore Airlines is celebrating its 50th year of operations in the Philippines, which it considers as one of its important markets. MANILA, Philippines – Singapore Airlines (SIA), which celebrates 50th year of its operations in the Philippines, stressed anew that the country is an “extremely important market” for the airline. “This year, according to financial reports, the Philippines is set to be a bright spot for Asia alongside Vietnam,” said Carol Ong, SIA’s general manager in Manila. The Singaporean carrier recognizes that the Philippines is one of the strongest growing economies in the region. It also expressed confidence that the country’s economy will continue pacing itself for further growth. “That means businesses are rolling and that would mean there will be a lot of travelling as well,” Ong added. The airline aims to ramp up service to markets like the Philippines, while other economies in the region show laggard growth. 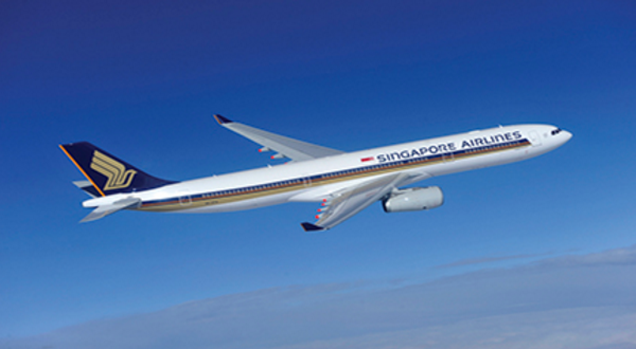 To date, SIA flies from Manila to Singapore four times daily. From there, passengers could be connected to onward flights to other parts of the world. There are also four flights to Manila from Singapore. SIA’s sister carrier SilkAir, on the other hand, flies to Singapore from Cebu, Davao, and Kalibo in Aklan 12 times, nine times, and three times weekly, respectively. Those bring the total to 50 flights via SIA in the Philippines every week. Right now, the main challenge for the airline is how it could further serve more parts of the country, Ong said. SIA does not hold any issue regarding the country’s gateway – from 2011 to 2013, the Ninoy Aquino International Airport (NAIA) was named “the world’s worst airport,” according to The Guide to Sleeping in Airports, NAIA’s status improved for 2014, down to the 4th spot (thanks to rehabilitation efforts in NAIA 1), but still it holds the 8th spot among “Asia’s Terrible 10” airports. “We always work closely with airports to make sure we can deliver the kind of projects and services we provide,” Ong said. One of the major developments Ong cited from their close working relationship with the country’s main international gateway is the opening of its new SilverKris lounge at NAIA Terminal 3 in July 2015 – the first of its kind in Southeast Asia and the fourth globally (there is a longue in Hong Kong, London, and Sydney). SERVICE PARTNERS. SIA has forged partnerships with several businesses to provide great deals to its loyal business passengers. In photo (from left): Singapore Tourism Board’s Adrian Kong; SIA’s Carol Ong; Globe Telecom’s Ernest Cu; BPI Credit Card’s Payments and Remittance Jojo Ocampo; Globe Telecom’s Albert de Larrazabal; SIA’s Camile Rose Pacis; and Globe Telecom’s Daniel Horan. In line with the 50th year of SIA’s Philippine operations, the carrier announced new offerings eyed to benefit the business travelers. SIA would add new destinations to its current lineup of 280 across 70 countries. In July, it would start flying to Dusseldorf in Germany, three times per week via a fleet of all-new Airbus A350-900 aircraft with SIA’s latest cabin products. In September, SIA would be the first airline to directly connect Canberra in Australia and Wellington in New Zealand with flights operating four times a week. The airline is also expanding connectivity to Europe and Southwest Pacific through a new partnership with Lufthansa. New codeshare ties will give SIA customers greater access to and from major destinations in Austria, Belgium, Germany, and Switzerland. SIA will also mount a Showcase and Travel Fair where it would offer all-inclusive round trip promotional fares to Singapore for only $150 (P7,050). The event will be held on February 19 to 21 at the Glorietta Activity Center in Makati City, simultaneously with SilkAir’s own fair at the Ayala Center Cebu.